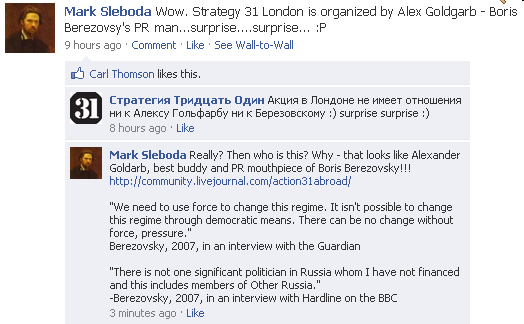 The agents of Berezovsky organizing Strategy-31 Abroad. In recent months, there has coalesced yet another, fleeting Russian liberal movement, focused on holding (unsanctioned) protests on the last day of the month to draw attention to the 31st article of the Constitution guaranteeing freedom of assembly. As is usually the case with other sagas in the (largely illusory & irrelevant) “Kremlin Regime vs Noble Liberals” narrative, Strategy-31 is something between theater and circus; a show in which the liberals provoke the authorities in front of TV cameras (of which there is no shortage), and the police happily take the bait, obliging them with an evening-detention PR martyrdom. 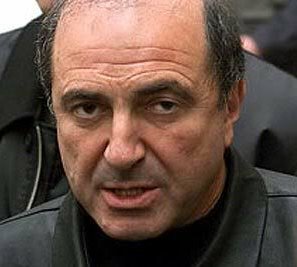 At this point, one may ask, “Can it possibly get any more farcical?” It certainly can, courtesy of exiled oligarch Boris Berezovsky: this August 31, his agents and “dissident” fellows, Alexander Goldfarb and Andrei Sidelnikov, are bringing Strategy-31 to the West, especially to the Russian Embassy at 6/7 Kensington Palace Gardens, W8 4QP, at 6-7pm GMT. Who are these guys? Goldfarb is a close Berezovsky confidante, responsible for dispensing money to a cluster of anti-Kremlin websites and “HR foundations”; in 2006, he managed the PR surrounding the death of Litvinenko and likely authored the dying defector’s j’accuse letter to Putin. Sidelnikov was the one-time leader of Pora! (“It’s Time!”), a liberal opposition movement in Russia, whose namesake belonged to a Ukrainian organization whose warm bodies and US intel-NGO tactics abetted the Orange Revolution. He met Litvinenko two days before his poisoning, and is close to Berezovsky on his own admission. Now back to the Strategy-31 Abroad project. The original initiative came on August 1 from Alex Goldfarb, who suggested a new strategy centered around the picketing of Russian embassies in the West on his LJ blog. After all, he wrote, if Cuban and Iranian exiles demonstrate from London and Washington, why isn’t the Russian diaspora doing the same against the “Kremlin regime”? He opined that the main problem wasn’t apathy, but the lack of an “organizational impulse”. 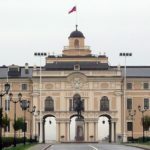 He proceeded to rectify this issue two days later, starting the LJ blog Strategy-31 Abroad to coordinate the protests at the Russian embassies. Using Facebook, Sidelnikov invited many of the Russian students at the London University system to the Strategy-31 protest at the Russian Embassy. It’s not clear whether their attendance, should it materialize in big numbers – based on my experience, I would hazard that the vast majority would rather while their time away at a pub – would be funny, ironic, or tragic. 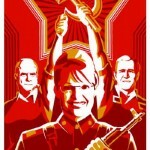 First, many of them are privileged children of the nomenklatura that owes their ill-gotten gains to Putinism, the very system that doles out the rents that allows them to send their brood to Western universities. They would sooner be protesting against themselves than anything else. Second, at least the (unsanctioned) Strategy-31 protests in Russia have some (minimal) meaning: the folks at Triumfalnaya risk being arrested and spending a few hours cooling their heels at a police station, and a few might even get a broken bone or two. Though Western police forces are quite happy arresting and beating anti-globalization and environmental protesters, they will never touch the anti-Kremlin demonstrators who serve their masters’ geopolitical interests. Third, the main organizational drive behind these protests come from two explicit agents, admirers and fellows of exiled oligarch Boris Berezovsky – a thief of the century, and quite possibly the murderer of the journalists Vladislav Listyev and Paul Klebnikov, who now cloaks his personal vendetta against Putin in the flowery language of freedom and “civil liberties“. That’s their great power. These guys have mastered self-serving hypocrisy to something of an art form, as I observed in Andrei Sidelnikov’s responses to liberal-skeptic queries from myself and others (that thread was deleted when Facebook wiped the Strategy-31 profile, but fortunately I’ve saved some screenshots). First, he flatly denied any questionable connections: “The London protest doesn’t have any relation to Alex Goldfarb or Berezovsky, surprise, surprise!” Surprise indeed, given the not insubstantial evidence to the contrary! … No further comment necessary. 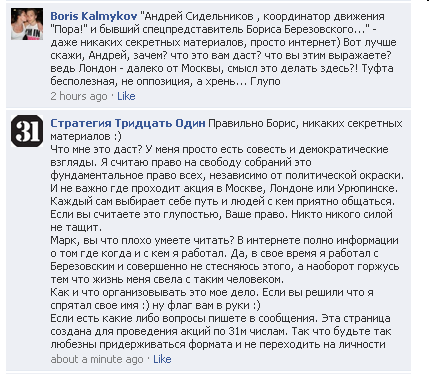 And it comes back round to Sidelnikov denying that Berezovsky funded his Pora! organization, thus closing this conversation’s loop. By the end of this investigation, I think there are more questions than there were at the beginning. For instance, what are Sidelnikov’s real motives: is he a deluded knave, a political manipulator in his own right, or even the altruistic campaigner for democracy and human rights that he claims to be? And what is Berezovsky’s level of involvement in Strategy-31 Abroad: is it deep, or tangential, or is the entire project something that Goldfarb and Sidelnikov hatched up on their own, as independent agents? There’s still no definitive answers to these questions, and unfortunately, I doubt one can find much more by digging through the Internet. Addendum: This article has been translated into Russian at Inosmi.Ru (Борис Березовский: крестный отец “Стратегии-31” за границей?) and into French by Alexandre Latsa (Boris Berezovsky: Parrain de Strategy 31 à l’étranger? ).